Swim. Sail Smooth. Ride the wave. Naxos’s footpaths, which constituted the main means of access and transportation from one village to another, and from the settlements to the fields and other farming areas from antiquity to the late 1960’s, measure hundreds of kilometers in total length. Of these walking trails and rural tracks, we propose seven specific routes, which have also been set on map. By exploring this network of trails of cultural interest – which will be updated and extended – trekkers will have the opportunity to admire an environment of particular natural beauty and, at the same time, acquaint themselves with the island’s history and culture. This is the old mule trail treaded by workers from Apiranthos to the emery mines. Stone paved for the best part, it crosses a lush and varied landscape. The 9th century church of Agia Kyriaki in the Kalloni area. The mountainous village of Apiranthos, reputed for its traditional architectural profile and rich folk culture, is the starting point. The initial, verdant stretch of the trail, is dominated by oak, almond, fig, wild pear and curly maple trees, as well as kermes oaks, and follows a direction parallel to the Karakogourna gully – replete with oleanders, wickers and bramble bush. The Church of Agios Ioannis Theologos - the first stop after a small detour at the Afiklis area - is a rare example of an Asia Minor-type Byzantine basilica, built in the 13th c. on the site of an older church. About halfway along the route, the landscape becomes rugged and the traditional stone work acquires a character of outdoor folk architecture, notably in the impressive bridge of Kamilaris. Next stop is Agia Kyriaki in the Kalloni area – a church whose non-pictorial décor confirms that it dates to the 9th century period of Iconoclasm, when icons were hotly contested. The trail then follows a smooth downhill to the emery mines of Kakoryakas, where interest centers on the old installations of the cable railway for transporting the ore, and the mining galleries. The same footpath continues down to the coast, to Azalas beach. 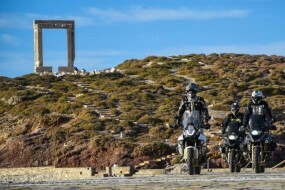 This circular route begins at the eastern approach to Filoti, Naxos’s largest, animal farming village in the center of the island, then follows an uphill route from the chapel of Irini on a mountain slope with rich tree vegetation and vineyards and soon reaches the nodal point of Agia Marina, at the foot of Zas, the highest mountain in the Cycladic group of islands and named after Zeus, the Father of the Gods. The route towards the summit of Mt. Za, the highest mountain peak in the Cycladic region. 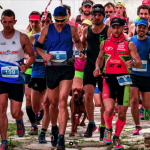 Starting at the eastern approach to Filoti, Naxos’s largest, animal farming village in the center of the island, the trail follows an uphill route from the chapel of Irini on a mountain slope with rich tree vegetation and vineyards. It soon reaches the nodal point of Agia Marina, at the foot of Zas, the highest mountain in the Cycladic group of islands and named after Zeus, the Father of the Gods. Further uphill is the Levgasa spring and the ancient inscription, carved in the rock, ΟΡΟΣ ΔΙΟΣ ΜΗΛΩΣΙΟΥ, meaning “Mount of Zeus, Protector of the Sheep.” Τhe mountain holds great ornithological interest and hosts rare, endemic flora species. The ascent to the summit (1,003m) offers unique views of the Aegean Sea and the other Cycladic islands. From the summit, the trail initially follows a northerly direction and then turns west, with a steep descent. On the approach to Zas Cave, it becomes rugged and indiscernible. The cave, where — according to mythology — Zeus grew up, is of particular historical and speleological interest. Archaeologists believe it was first inhabited in the Neolithic period. The descent from the cave shortly leads to the Katafygi spring and then, on a restored, stone-paved footpath, to the Arion fountain - set in an appropriately arranged, idyllic location - a perfect resting stop for trekkers under the cool shade of an age-old plane tree. The southbound trail to Filoti ends near a half-ruined windmill. The last stretch back to the village is on the asphalt Filoti-Kalantos road. A trail that takes you to the heart of the Tragea valley and to the Church of Panagia Protothronos at Chalki, a gem which has dominated Tragea’s Byzantine “park” for 15 centuries as well as many other monuments. The fortified monastery of Christ Photodotis, which commands sweeping views of eastern Naxos and the coast. 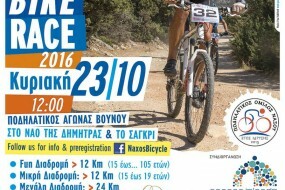 The trail starts at the small village of Danakos, situated in a dell on the Naxos uplands, next to a rich spring at the foot of Mt. Zas. Initially stone-paved and uphill, the trail then crosses a forested area – mainly with oak and maple trees. First stop is at the fortified monastery of Christ Photodotis, which commands sweeping views of eastern Naxos and the coast. The church of this excellently restored monument features the remains of an early Christian place of worship – with non-iconographic décor- and 9th century frescoes. The trail continues in a verdant landscape in the shade. At Karkos position, it forks out: a detour leads to Apiranthos, via Pera Chorio area. The main route leads on to the cool gully of Perachoritis, where the modern water conservation dams catch the eye. A restored windmill stands where the footpath meets the provincial road, and right opposite is the Church of Agios Ioannis - for which the village of Apiranthos holds its biggest celebration and feast. The trail continues through the lush Finelia area, following a winding downhill route to the Tragea plateau. This is the old footpath Apiranthos pupils would take to their school in Tragea. Appropriately sing-posted, the trail joins the gully for a short distance and thenbecomes a farm road. Before reaching the village of Kerami, the route goes past Agios Ioannis Prodromos - a square, domed church with finely maintained frescoes. The imposing Kalavros/Markopolitis tower house is seen at Kerami. You are in the heart of the Tragea valley now. The trail continues to Metochi, where you see the remains of the tower of the same name and the cruciform domed Church of Agii Apostoli - a 12th-13th century construction of rare architectural style. The termination point - and cultural highlight- of the walk is the Church of Panagia Protothronos at Chalki, a gem which has dominated Tragea’s Byzantine “park” for 15 centuries. 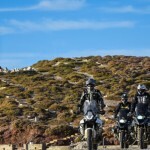 This trail follows a circular route around the largest part of the olive grove and the Byzantine “park” of Tragea, taking in the traditional, special-character settlements of Chalki – old commercial and administrative center in the Naxos uplands, Monitsia, Moni, Kaloxylos and Akadimi. 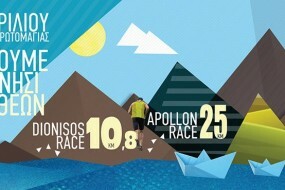 It may be divided in two alternative walks, starting at Chalki and terminating at Moni, or vice-versa. 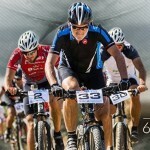 This trail follows a circular route around the largest part of the olive grove and the Byzantine “park” of Tragea, taking in the traditional, special-character settlements of Chalki - old commercial and administrative center in the Naxos uplands, Monitsia, Moni, Kaloxylos and Akadimi. It may be divided in two alternative walks, starting at Chalki and terminating at Moni, or vice-versa. - The first, following a northwesterly direction from the exit of the rare Neoclassical formation of Chalki, takes successively in the churches of Agia Marinia (single-aisled, cruciform and incorporating ancient materials), Agios Georgios Diassoritis (with a small detour, featuring a host of frescoes), Agios Antonios and Agios Nikolaos/Agios Dimitrios at Monitsia, the early Byzantine, triple-aisled basilicas of Taxiarchis and Agios Issidoros (reached via short detouring footpaths), and Panagia Rachidiotissa (domed cruciform). The trail continues in a direction parallel to the gully and then climbs on an oak-forested landscape. An impressive watermill stands where the footpath meets the gully. The ascent continues on a stone-paved path leading to Panagia Drossiani. The church with the triple-alcoved, conical dome and the three adjoining chapels, adorned with frescoes in many layers dating between the 7th and the 14th centuries, is considered, along with Chalki’s Panagia Protothronos, the most important in the entire Cycladic region. The trail terminates at Moni, a farming, olive producing village which also has a notable tradition in weaving. - The second trail starts in an easterly direction and then turns northeast. After going past the historic Barozzi/Gratsias/Fragopoulos tower house at Chalki, it heads to Akadimi, where it meets three successive monuments: the Markopolitis/Papadakis tower house, the cruciform, domed Church of Panagia Akadimiotissa (via a short detour) and Agios Nikolaos, which features a marble iconostasis. It continues on an asphalted road to Kaloxylos. A stone-built bridge and fountain can be seen at the end of the picturesque village which is set among the olive groves and the orchards. Ascending through a lush patch with oak, kermes oak and maple trees, and past a folk wood sculpture workshop and a traditional tavern, the trail ends at the square of the village of Moni. Apano Kastro – an ancient fort on an imposing rock. The trail starts at Chalki and crosses the valley of Tragea in a westerly direction. As you enter the settlement of Tsikalario, you come to a potable water fountain and the cruciform, domed church of Agios Stefanos, featuring 13th c. frescoes. The landscape changes considerably after Tsikalario, being dominated by huge disintegrating rocks of magmatite which constitute one of the most ancient geological formations in the Cycladic region. Signposting leads to a Geometric era cemetery (9th -8th c. BC), where the remnants of circular tombs of ancient prominent families can be seen. The route continues to Apano Kastro - an ancient fort on an imposing rock dominating the area. The fort, which was inhabited from the early historical era to the period of Frankish rule, is accessed via a rough, diversionary footpath. The medieval fortification and the half-ruined Byzantine and post-Byzantine churches of various architectural styles (particularly the roofless Church of Panagia Kastriani) are of special interest. The spot also offers superb views of central and southern Naxos. The main trail continues in a circular fashion around the rock. The last stop before reaching Ano Potamia is the Church of Agios Andreas, where most of the 14th c. frescoes are still in very good condition. This last section of the trail is a wide, stone-paved road - a remnant of the medieval way that connected Potamia valley with Apano Kastro and the valley of Tragea. The very last stretch of the walk is cement-paved. 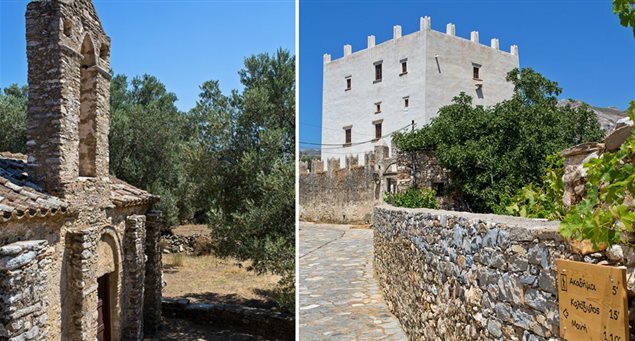 The first will take you to picturesque Kourounochori, situated on the hill slope across the valley, with the imposing Sommaripa/Fragopoulos tower house – one of the oldest on the island. The second alternative route crosses the lush Melanes valley and will take you past a number of sights, including the Church of Agios Georgios – initially a late Roman structure and one of the first venues of Christian worship identified on the island, with frescoes of various historical periods. The two alternative routes meet on the narrow walkway connecting Kourounochori and Myli - which you reach after going past some imposing watermills at an idyllic location. The trail follows an elliptical course, below the installations of the ancient aqueduct, which can be visited, and ends at Flerio. There, you can see the archaic sanctuary by the water springs and the half-finished, giant, 6th century BC statues of Kouroi in the area of the quarries. From Flerio, the trail initially goes uphill on a wide footpath towards Potamia. Along the route you will see threshing floors and lime furnaces in good condition. A marble paved pathway leads to Ano (“Upper”) Potamia, with the water-plentiful ancient fountain. Potamia’s three settlements (Upper, Middle and Lower), with their impressively preserved traditional architectural profile, adorn the valley which is dotted with watermills, historic chapels and tower houses, threshing floors and olive presses. After Ano Potamia the trail forks out, with one leg going slightly uphill to Messi (“Middle”) Potamia, crossing the settlement and rejoining the second leg alongside the stream at the shady Platanaki position, with a traditional, stone-built laundry facility. A short distance from the village, at Episkopi position, you will come to the big, historic Church of Agios Mamas, or Theoskepasti – a cruciform, domed structure with some rare frescoes and inscriptions. The trail ends at Mitropolou position, by the Chora-Sagri road, which may be opted for as a reverse starting point of the route. The trail that leads to the ancient sanctuary of Demeter and Kore. The trail starts from Tsikalario, from the plateau where the font of Agios Stefanos is situated, goes past the primary school and heads for the adjacent pretty village of Chimarros via a narrow, cement-paved road. It then follows a southwesterly direction on a path that crosses the stream and meets the chapel of Taxiarchis – recently restored and with non-iconographic décor. The footpath opens up into a farm road and reaches the attractive chapel of Agios Sissois, next to the provincial road. The route now follows a southerly/southwesterly direction, initially on a farm road and then on an old, wide, cobblestone path. A short distance to the south is the Church of Agios Artemios - also restored and with non-iconographic décor. The cobblestone path leads to the complex of Agii Anargyri, with a pretty courtyard in a lush location. Note the rare complex of three Byzantine churches and the frescoes. 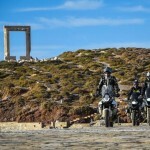 The route returns on a farm road, a detour from which on the right will take you to the tower of Paleologos –the largest and one of the best preserved on Naxos. The cruciform, domed Church of Panagia Orfani is nearby. The farm road leads to a footpath that brings you to the provincial road (bus stop). Cross the road exactly opposite and walk for a few minutes on the tarmac-paved road that diverts to Sagri. Continue on the cobblestone path around the small pine forest and enter Sagri at the point of the primary school. The settlement is of special historical and architectural interest. It is also the starting point for the last stretch of the trail, to the ancient sanctuary of Demeter and Kore. A small detour will take you to the Church of Agios Nikolaos, which features excellent frescoes. The end of the trail at the small hill of Gyroulas is especially rewarding for the visitor. The largely restored archaic temple wields a commanding presence in the midst of a farming area. Research confirms that it was preceded on the same spot by an 8th c. BC farming sanctuary. The remains of a three-aisled, early Christian basilica of the 6th c. are also evident. HAPPY NEW YEAR! ΕΥΤΥΧΙΣΜΕΝΟΣ Ο ΚΑΙΝΟΥΡΙΟΣ ΧΡΟΝΟΣ! ΝΑΞΟΣ:ΙΣΤΟΡΙΑ ΤΗΣ ΓΑΣΤΡΟΝΟΜΙΑΣ, ΚΑΛΛΙΕΡΓΕΙΑ, ΓΕΥΣΕΙΣ. Raki: Get Into the Spirit! 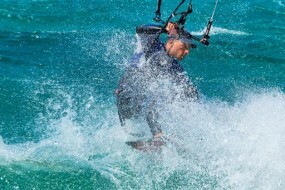 Naxian Freestyle Contest - Two Day Freestyle Windsurf Competition! The (wind) waiting begins October 1st! 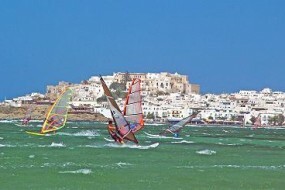 Naxos for Kids: Family, Freedom & Fun! Pay a 'virtual visit' to Naxos! Naxos and the Small Cyclades: Five Islands. One Destination.